Denise Kearney, MD, MS joined Northampton Integrative Medicine in January 2018. She previously worked as an allergist and immunologist for 3 years in Darien, Connecticut and 9 years in Waterbury and Cheshire CT after completing a subspecialty fellowship in Allergy and Immunology at the University of South Florida College of Medicine. She received her medical degree from the University of Texas Southwestern Medical School and completed an internal medicine internship and residency at Albert Einstein College of Medicine in Bronx, New York. She is board certified in allergy and immunology and integrative and holistic medicine and she completed her Masters of Science in Functional Human Nutrition from University of Bridgeport, CT in 2017. She is a member of the American College for Advancement in Medicine and is a Certified Chelation Therapist (CAP- CCT). She is also a member of the American Academy of Allergy, Asthma, and Immunology, the American College of Nutrition, and the Institute for Functional Medicine. She is an ambassador for the University of Bridgeport Nutrition Institute and their Master’s Program in Human Nutrition. 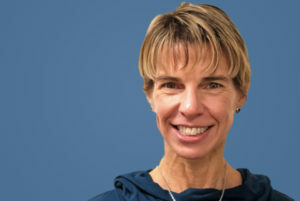 She served on the editorial board of the publication Connecticut Medicine for over 10 years and has published material regarding bone health and vitamin D in relation to allergic diseases. Dr. Kearney has fostered an interest in integrative medicine ever since her medicine residency and a passion for nutrition since high school. She enjoys incorporating nutrition into her patients’ management plans especially regarding foods and nutrients involved in adverse food reactions, food allergies, gluten reactions and gastrointestinal and bone health. During her time at Advanced Allergy in Darien, she counseled patients with chronic Lyme Disease and other tick borne illnesses as well as ADHD and autism regarding their gastrointestinal and immune health using probiotics and other neutraceuticals. She has over 15 years of experience with allergy testing and allergic disease management. In her free time, Dr. Kearney enjoys staying fit: practicing Barre and yoga, as well as swimming and regularly getting to the gym. She is a local food supporter, loves to cook and is a lifelong cat lover.